i Click 'view all' to instantly compare this ok deal with offers on other top laundry hampers & bags. 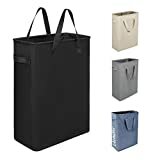 FANKANG Large Laundry Hamper Bag Storage Bin Collapsible Black Rhombus is currently selling at $10.98, approximately $0.01 higher than average, giving a potential saving of $0.71 right now. With a lowest price of $8.98 and an average of $10.97 it is selling on the high end of its usual range. Price volatility is 3.57% (meaning it changes a few times a week), so you might have to wait a while for the price to drop. Right now this product is a recommended 'ok deal'. 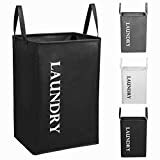 Compare the current price, savings (in dollars & percent) and Buy Ratings for the top Laundry Hampers & Bags that are closely related to FANKANG Large Laundry Hamper Bag Storage Bin Collapsible Black Rhombus. 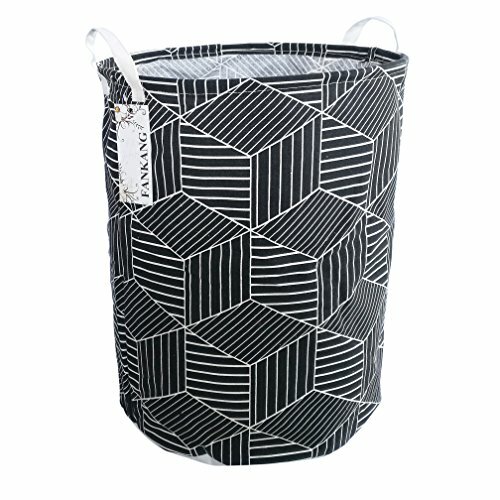 Here is how FANKANG Large Laundry Hamper Bag Storage Bin Collapsible Black Rhombus compares with other leading Laundry Hampers & Bags. This storage bag suitable for adult, teens, kids, babies; suitable for toys, books, clothes and other stuff, suitable for home and school. Why choose our large storage basket? - Spacious capacity, store more stuff. - Sturdy side handles for easy toting. - Collapsible design for compact, convenient storage. - Cute lovely animal pattern design. - Multiple function, suitable for any place. Features: - Perfect organizer for play rooms, allowing for the storage of toys, books, blocks, stuffed animals, toys with multiple pieces, train sets, or board games. -Great basket for nurseries, with enough storage space for diapers, baby wipes, diaper rash cream, baby clothes, burp rags, teething toys, and lotion. 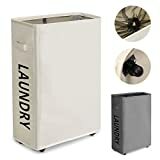 -reading materials, as well as in the bathroom for towels, or as a laundry hamper. FeaturesMaterial: Cotton Fabric + Waterproof PE Coating+Handle, lightweight, durable and portable.SIZE: 19.7"H x 15.7"D?Lager than most storage bagsPractical design: It stands when in use and can be folded for space saving and easy storage when you do not want to use it at the time.Multiple functions: you can use it to collect toys, dolls and story books for your kids; you can use it as a hamper to put your clothes, socks and shoes in; you can even use it as a shopping bag. And there are more uses waiting for you to explore.